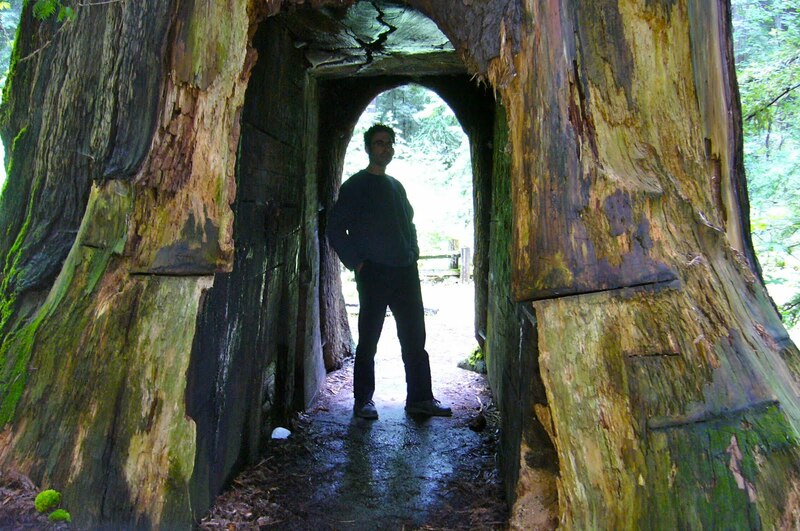 My husband enjoying one of my favorite little waysides in the redwoods. 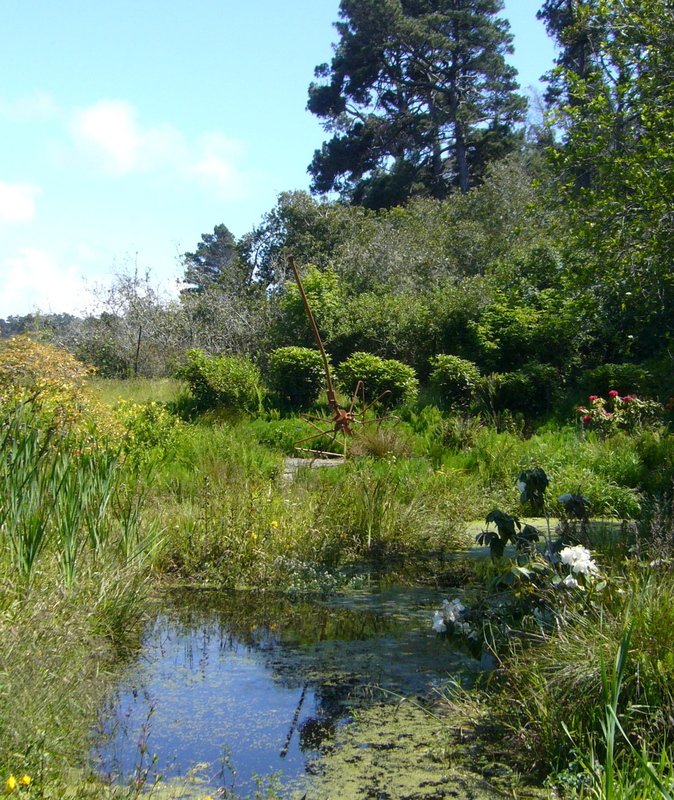 A mosquito sculpture beside a pond at the Mendocino Coast Botanical Garden, Fort Bragg, CA. 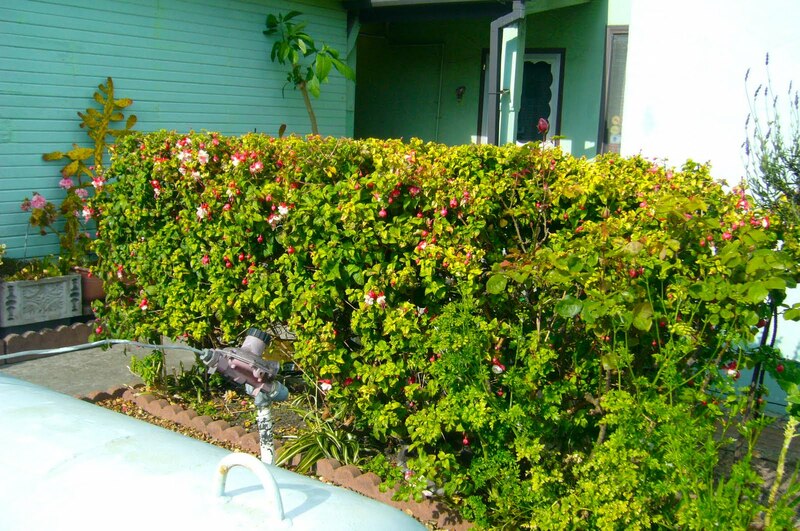 A Fuchsia hedge in the garden of a residence in Fort Bragg, CA. I was very jealous. 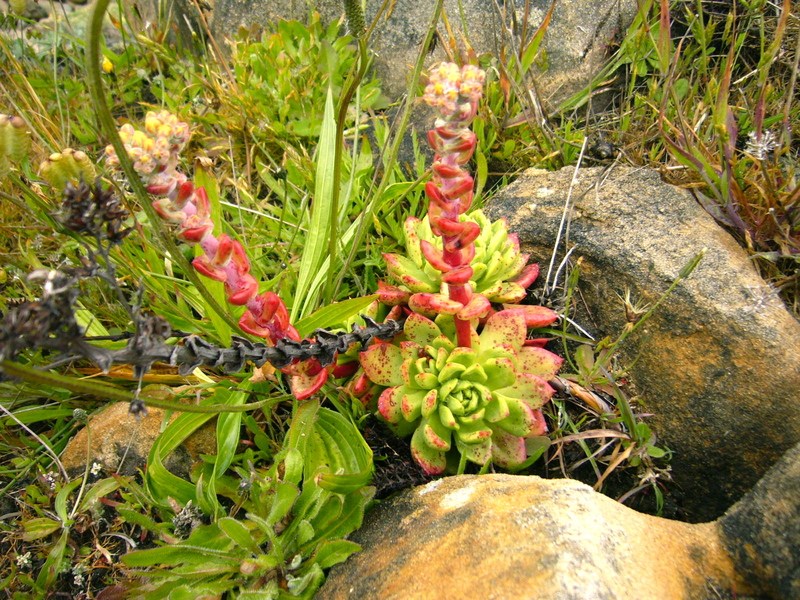 Discovering Sedum along the ocean at Salt Point State Park in Sonoma County, CA. I know this is a special plant but I will have to look up the name later. 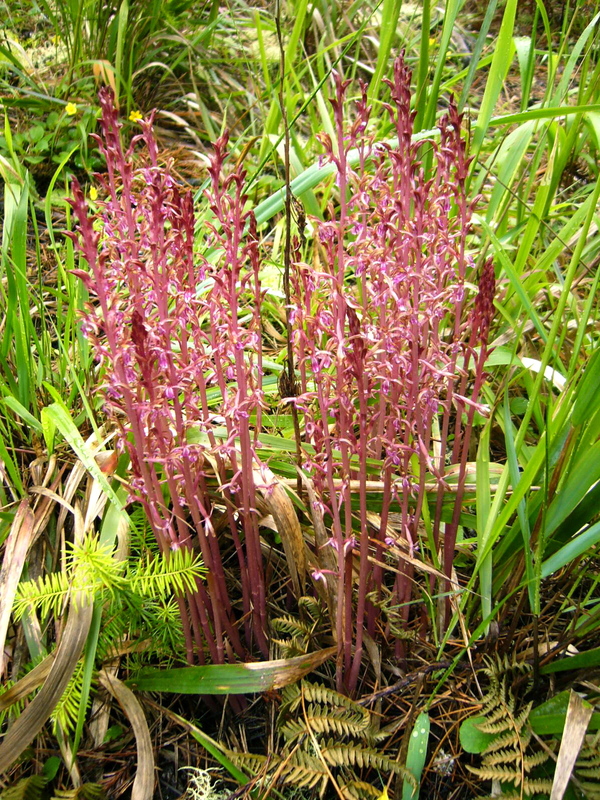 We found it in the Kruse Rhododendron Reserve. near Salt Point State Park in Sonoma Co., CA. 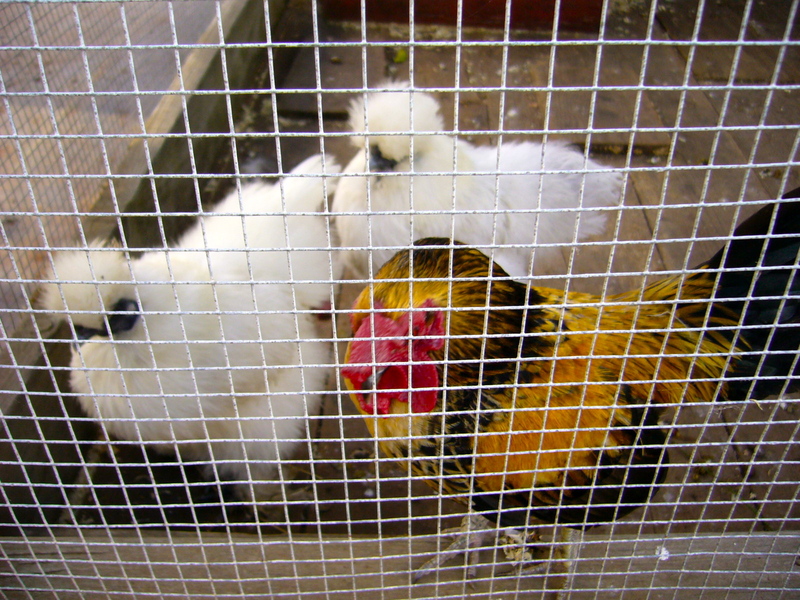 Fancy chickens at Annie’s Annuals. I CANNOT say enough about their nursery. We had a wonderful time and it was easy to find over in Richmond, CA. 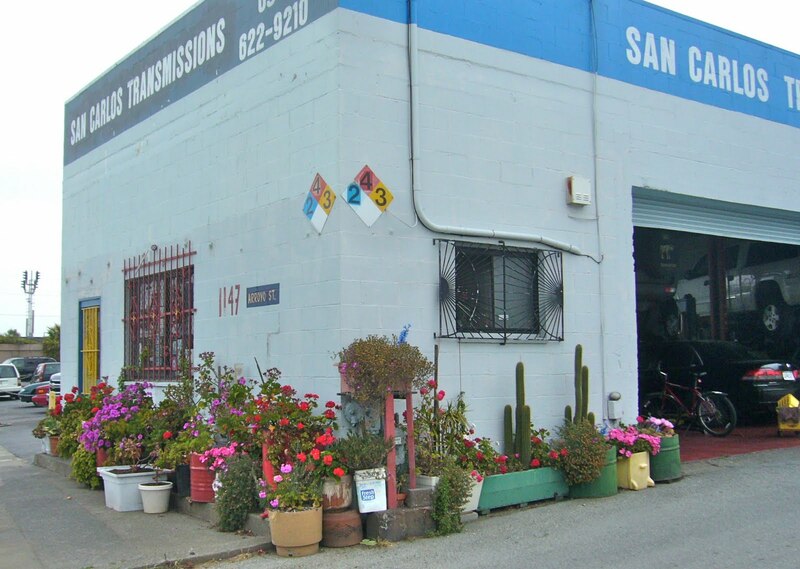 This is a transmission repair show that I would trust in San Carlos, CA. I cannot say enough about Prickly Pears. My other name, Ficurinia, means Prickly Pear in Sicilian dialect. 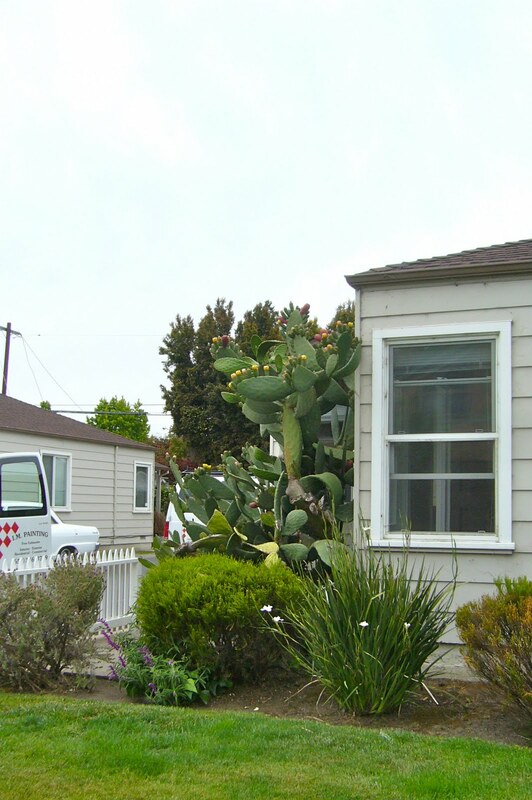 I would happily live with this lovely prickly friend in San Carlos, CA. 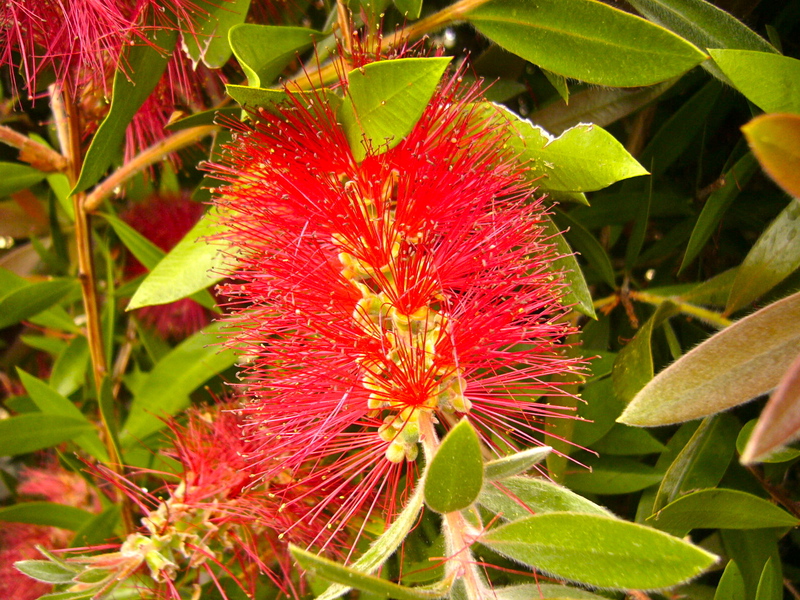 Bottlebrush plants are not for me but I do love their blooms, San Carlos, CA. Really cool tree outside of the famous restaurant Chez Panisse in Berkeley, CA. 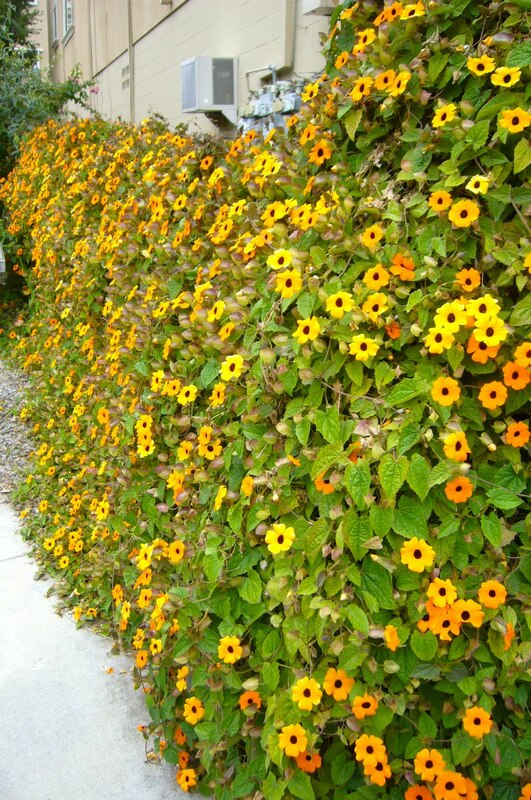 Wall of Thunbergia at a wine shop in Berkeley, CA. 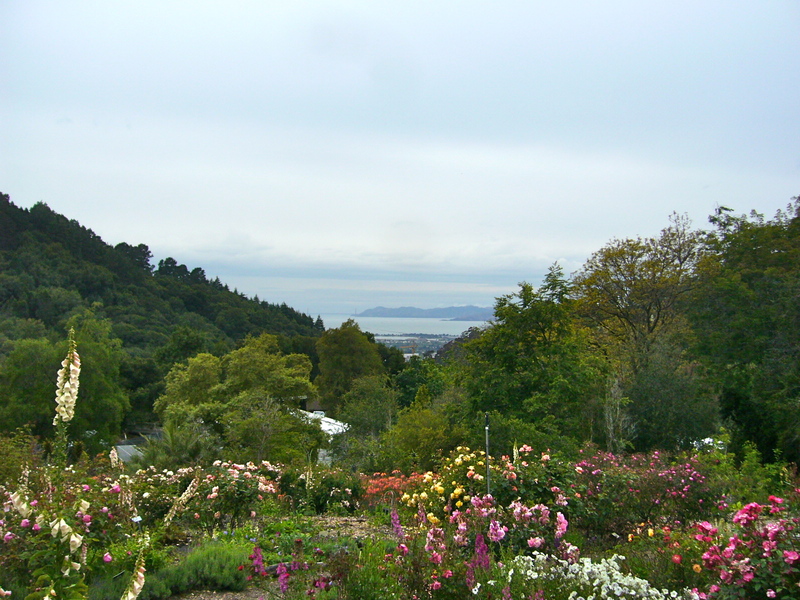 View of the Golden Gate Bridge (far in the distance) as seen from the Berkeley Botanical Gardens, CA. Today is yet another adventure, and tomorrow too, but I am afraid we have finally been slowed down by one of my really amazing and sweet old college friends. Yesterday, much food was eaten and our last meal was so decadent it is embarrassing to mention. 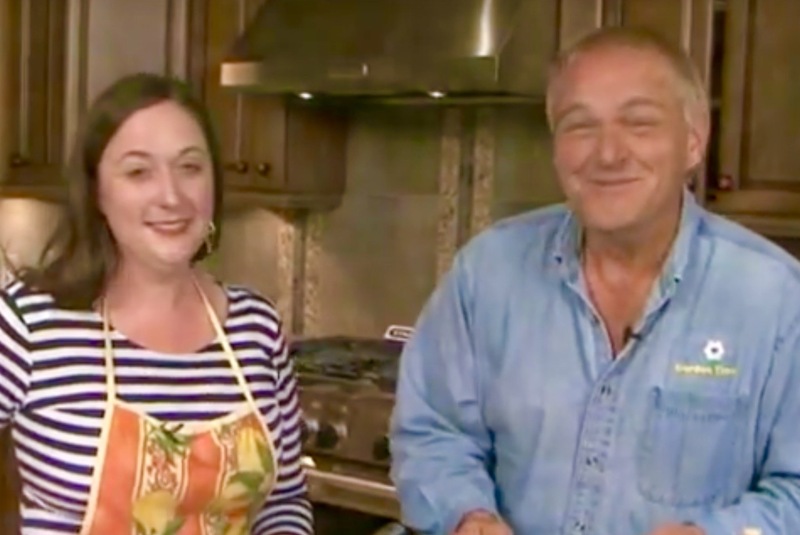 Let’s just say that we ate Italian-style—for several hours—and each of the four courses had two to four different dishes. The meal was seriously heavenly. Ann, Thank You for sharing photos of your Travels! Oregon and California are Tops on my list of places to visit! 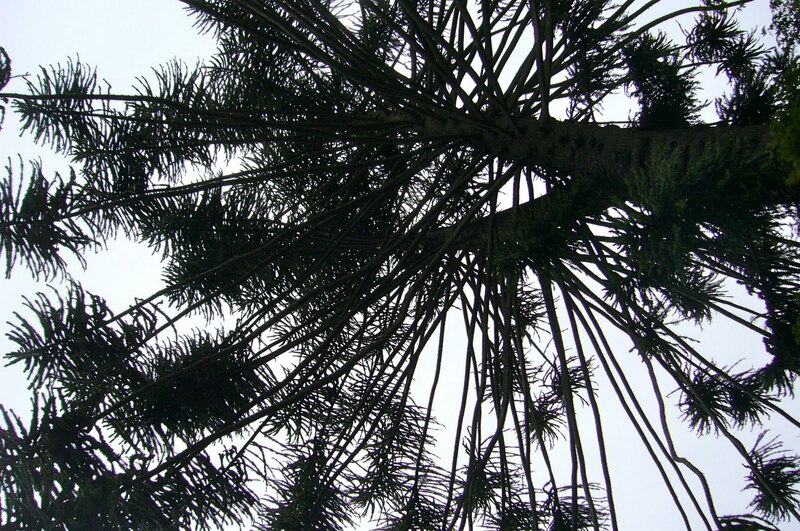 Botanical Gardens and Native Lanscape are what we most like to see in our Travels so keep the photos coming! 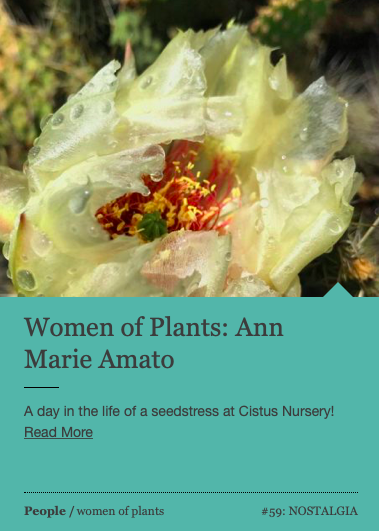 I just received my order from Annie's Annuals. Although I've never been there the photos make it look fabulous. I look forward to hearing more about your travels. Annie's was far more amazing than I'd ever imagined it could be and I hope to post all of those pictures soon! 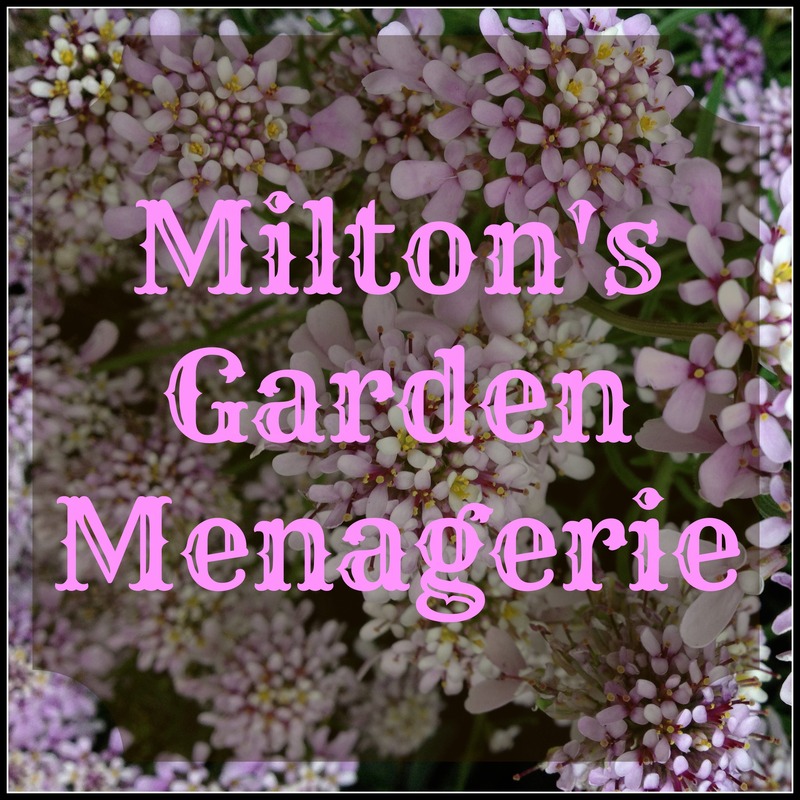 I feel a bit strange carting home about a dozen plants from there but so goes the life of this gardener.